There are three books that I've read lately that I feel I need to share. For all of you true fragrance freaks like me they are your required summer reading. The first is the Secret of Scent by fragrance biophysicist Luca Turin. Luca Turin began writing perfume reviews almost on a whim many years ago in Paris. Always a sucker for any random tidbit of information he could get his hands on he started uncovering some discrepancies in the way the scientific world looks at the sense of smell. Through much thorough research and a lot of stone-throwing from the scientific community, Turin has reintroduced and expanded upon theories of a vibrational mechanism for the sense of smell. The book explains a bit of his background and the story of how he made his contribution to the theory and explains the theory in a fair amount of detail. It can be quite dense if you don't have much of a science background, but it's a good read nonetheless. 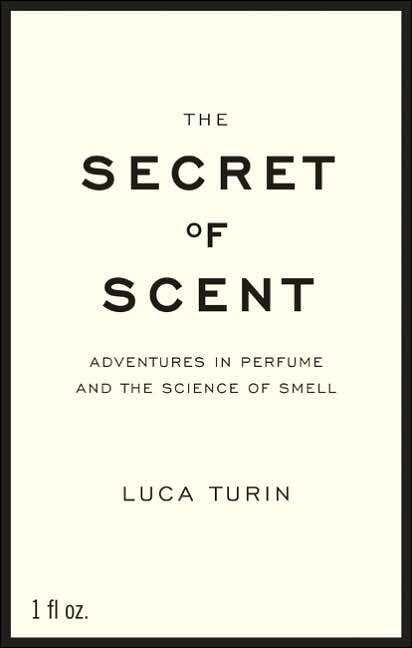 The Secret of Scent by Luca Turin is available from Barnes & Noble for $23.95. Secondly, the Emperor of Scent by New York Times Perfume Critic Chandler Burr. Burr met Turin by chance in a railway terminal several years ago. After much small talk, they struck up a conversation about Turin's work with smell. Burr was interested and as a reporter investigated the theory and Turin's story. Unfortunately, Turin's adversaries were unwilling to give their side of the story, so Burr's book is mostly a chronicle of Turin's story. A worthy companion to Turin's book, it should not be overlooked just because one has also read the Secret of Scent. 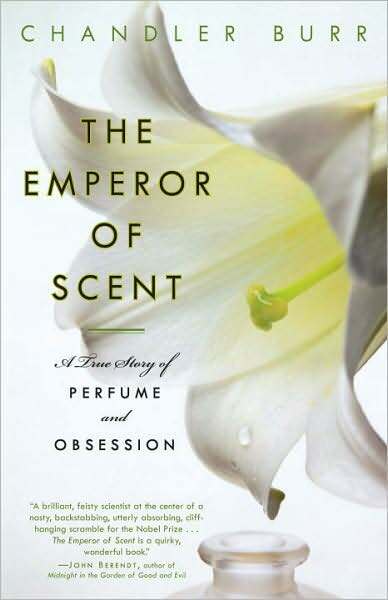 The Emperor of Scent by Chandler Burr is available from Barnes & Noble for $13.95. The last is The Fragrant Garden by Julia Lawless. The books is a great read for anyone interested in Gardner and/or perfume and fragrance. It includes many sections with widely varying topics. It's not just and encyclopedia of fragrant plants which a lot of fragrance gardening books are, but it includes much history about the history of fragrant gardening, exotic as well as domestic plants, information about essential oils and aromatherapy, and even some recipes and advice for the use of fragrant herbs. A great read for anyone who is interested in this blog. It is available from Barnes and Noble for $27.50. In "Books", "Chandler Burr", "Fragrant Gardening", "Luca Turin", "Science of Smell"